To prepare an original key iconic asset and a communication platform for new Hepatil Complex 4 in 1. 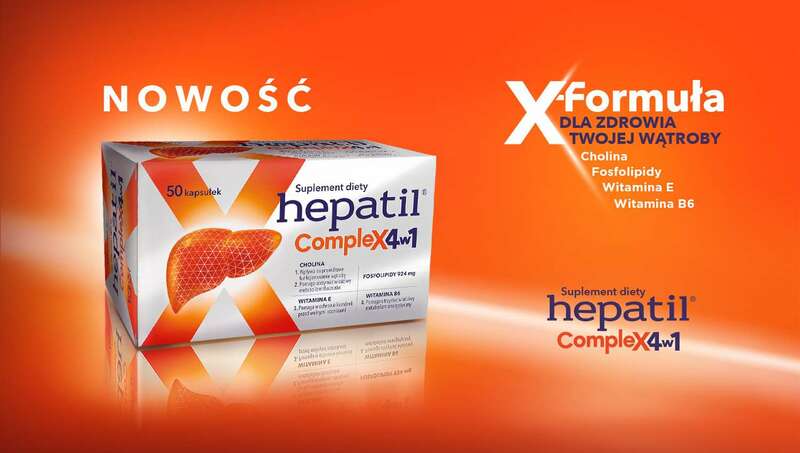 After winning the tender for the servicing of the new Teva Polska product, we prepared a concept for the unique X-Formula and its symbol in the form of an X, uniting four product ingredients. 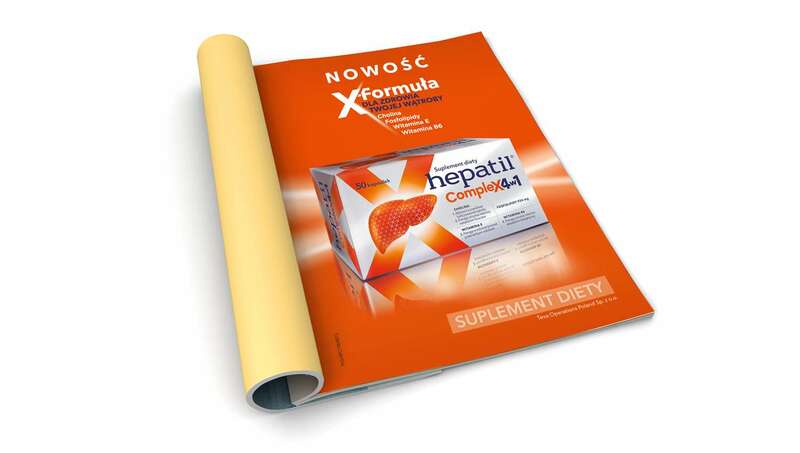 The idea became a basis for developing the campaign’s key visual, promotion in press and on the Internet, a TV spot and POS materials for pharmacies.